As with most budget hosting services, iPage is an attractive option for newcomers. Personal bloggers, small-business owners, and artists can benefit from the company’s content management and ecommerce tools that are included with the basic hosting plan. Larger-scale operations will find iPage useful, as well; but, the company primarily markets itself to the mom-and-pops out there. 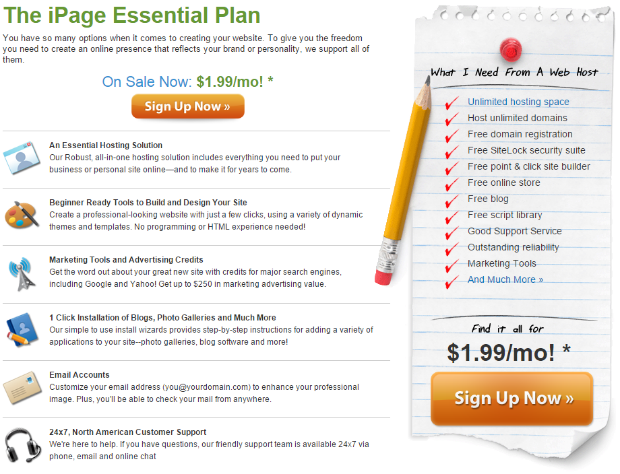 With an anytime-money-back guarantee, I’d say that iPage is ideal for first-time website builders who may want to create a blog site or an ecommerce store due to its pricing and easy-to-use Web building tools. 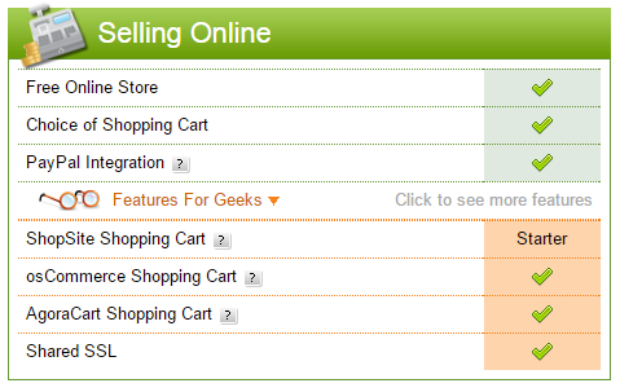 Ecommerce is one area where this company really stands apart from the budget-hosting crowd. All plans come with an attractive ecommerce package that includes a free iPage online store, your choice of three shopping carts, and Pay Pal integration. While the Essential Plan has the basic version of a ShopSite cart bundled into it, the Manager and Pro plans allow for upgraded iPage ecommerce options. The SSL certification gives you and your iPage store customers some peace of mind when transmitting sensitive information like credit card numbers. I found a lot of value in the iPage e-commerce package.